Anyone who has ever been to Comic-Con International in San Diego knows that swag is key and the right tote to carry it is always the Warner Bros-branded bags handed out every year. But this year, the free-to-attendees satchel comes with its own little treat, as well! Unleashing a record 18 new designs tied to various Warner Bros. properties, the bags being given at next week's confab have been tricked out with hidden content within their artwork which is available exclusively through the Blippar app (available for iOS and Android users, so don't panic). But since looking at Ian Somerhalder is more fun than reading about pretty much anything, here is The Vampire Diaries star to explain the deal with the interactive, augmented reality experiences coming to SDCC. 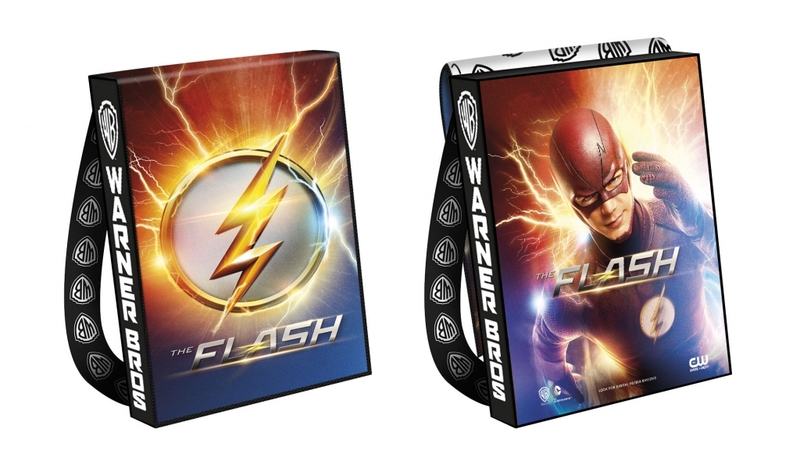 Shows featured on the bags this year include The 1oo, Arrow, The Big Bang Theory, DC's Legends of Tomorrow, Blindspot, Supernatural, Supergirl, The Flash, Gotham, iZombie, Lucifer and a combo bag sporting The Originals and TVD. In addition, DC's new Super Hero Girls universe is being showcased, as well as the animated Teen Titans Go!, Justice League Action and Vixen. So basically, you are gonna need a couple bags just to fit all of your bags. Because you know picking one just ain't gonna be enough!